ONE MAN HYDRAULIC EARTH DRILL. THIS MACHINE IS DESIGNED TO DRILL HOLES IN SOIL. IT IS NOT INTENDED FOR ANY OTHER PURPOSE. INFORM CUSTOMER ABOUT 1-800-545-6005 48 HOURS BEFORE DIGGING. 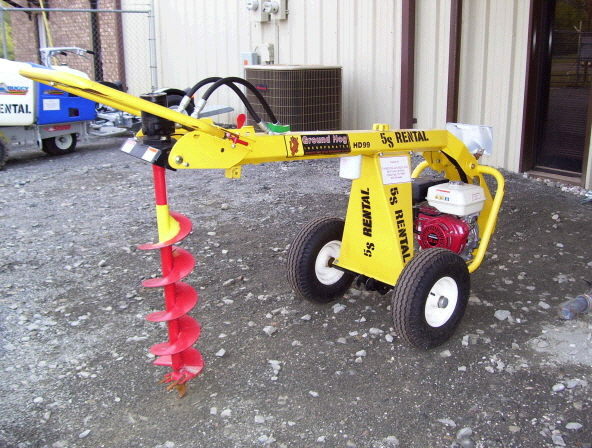 AUGER, BIT GROUND HOG 6"
* Please call us for any questions on our post hole digger ground hog rentals in White Oak, Longview, Gilmer, Gladewater, Big Sandy, Kilgore, and all of East Texas.